Very beautiful property with many different areas to discover. Spacious apartments with small kitchen area and garden/ pool. Bardolino harbour and downtown are only 10min walk away! Pets stay for free. This hotel is in a wonderful area!! We stayed in the 2 bedroom apartment that had two bathrooms - great for two couples sharing. The two single beds were rock hard as were the pillows. Some might find going up and down the stairs to the kitchen/ living area a little difficult, especially if you have toddlers or young children. The hotel requests that the apartment kitchen facilities be cleaned and dishes washed prior to departure. This is not an unreasonable request except no basic cleaning products were provided at all for the apartment. Mosquitoes were a problem during our visit which meant we couldn't leave doors open. This is a quality hotel. The apartment was very comfortable. We loved the roof-top bar and the quiet adult only pool. Bardolino was the best town of all the ones we visited and we would chose this town again. Worth noting you can get basic take out pizza from the restaurant (because this isn't advertised by the hotel). I liked the stay until we had a massive flood in the apartment, there was a massive hole in the ceiling, when we came back after enjoying a lovely meal in Bardolino the whole of my children’s beds and floor were soaked, they both had to sleep with us that night. 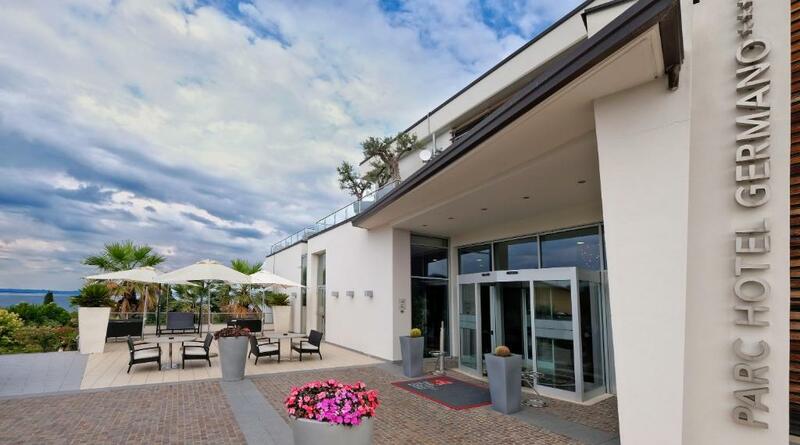 Lock in a great price for Parc Hotel Germano Apartments – rated 8.6 by recent guests! Parc Hotel Germano Apartments This rating is a reflection of how the property compares to the industry standard when it comes to price, facilities and services available. It's based on a self-evaluation by the property. Use this rating to help choose your stay! 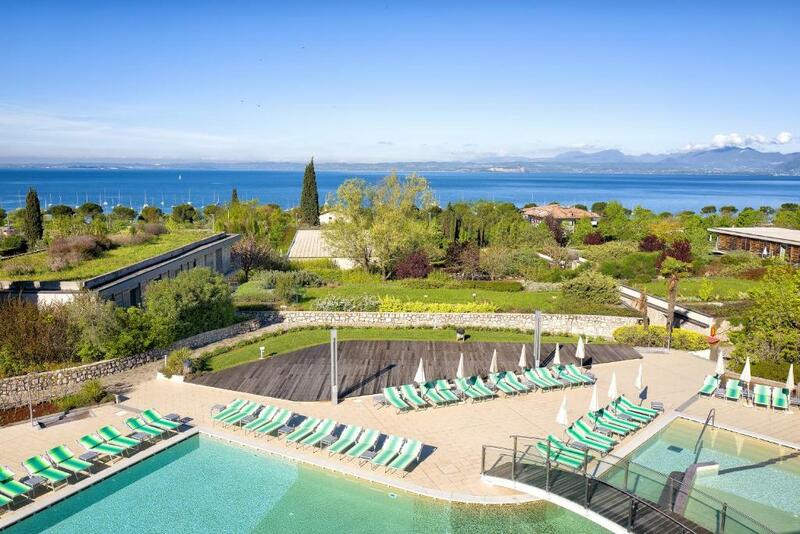 One of our top picks in Bardolino.Just a few minutes from the historic center of Bardolino, Parc Hotel Germano Apartments is a new resort set on a sunny, picturesque slope facing Lake Garda. All 49 apartments feature bright accommodations and furnished balconies or terraces where you can enjoy exclusive views of this majestic setting. Parc Hotel Germano also provides 2-room apartments equipped for the disabled. This modern resort offers a variety of amenities for a relaxing and peaceful stay. You can stop by the new wellness center, where you can choose from various massages and beauty treatments, or take a swim in the indoor pool. In the evenings have a drink in the piano bar where you can admire yet another stunning vista of Lake Garda. 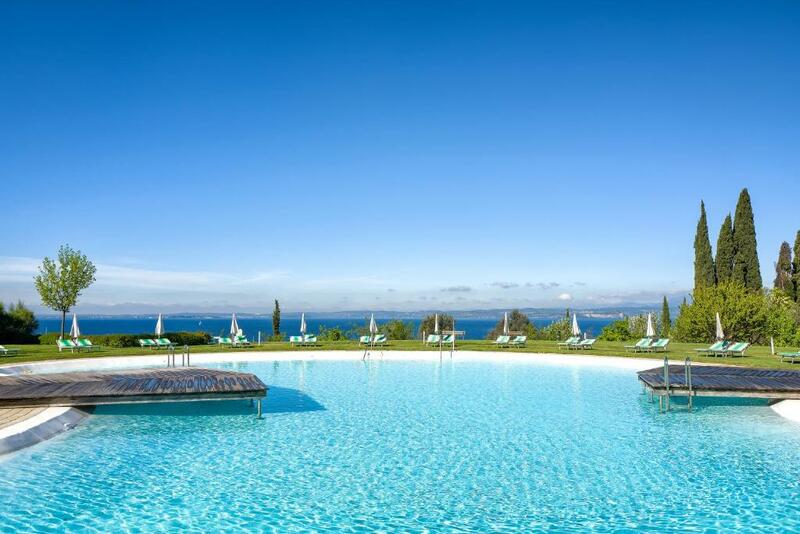 Designed to blend with the surrounding, green landscape, Parc Hotel Germano has achieved low environmental impact by preserving this lush, natural and panoramic area. 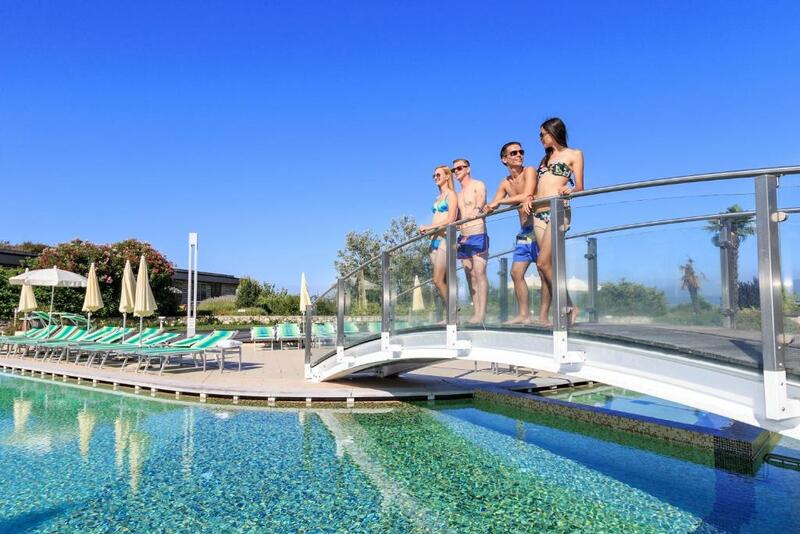 This is our guests' favorite part of Bardolino, according to independent reviews. 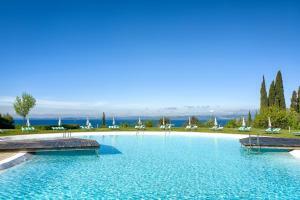 뀐 Located in the top-rated area in Bardolino, this property has an excellent location score of 9.0! When would you like to stay at Parc Hotel Germano Apartments? All apartments have a furnished balcony or terrace. All feature air conditioning in summer, a fully equipped kitchenette with a fridge, microwave and a tea and coffee maker. There is a living room with a satellite TV and a sofa bed. Each has a private bathroom with bath or shower and free toiletries. There is a large living room with a satellite TV and a sofa bed, Each has a private bathroom with bath or shower and free toiletries. All apartments have a furnished balcony or terrace overlooking the lake. There is a large living room with a satellite TV and a sofa bed, This split-level apartment has 2 bathrooms with bath or shower and free toiletries. 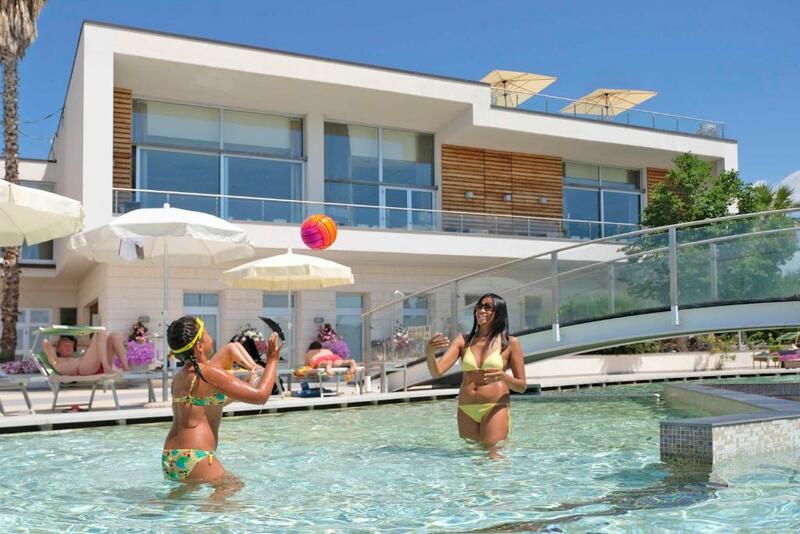 House Rules Parc Hotel Germano Apartments takes special requests – add in the next step! Parc Hotel Germano Apartments accepts these cards and reserves the right to temporarily hold an amount prior to arrival. In the event of early departure or modification of the reservation after check-in, the property will charge up to 3 nights of the booked stay. The apartments are equipped with bed and bath linens. Final cleaning is included in the rate but guests must leave the kitchenette clean. One of the most picturesque neighborhoods in Bardolino! For this kind of price breakfast should be included. Separate breakfast booking is rather expensive. The apartments are not serviced. A time consuming inventory of the kitchen was requested from us to be done and signed which was very inaccurate on the list provided. The free wifi was hopeless! It was a bit of a walk to the town and it was a bit expensive. Not too much, but there were other hotels we saw that were closer and possibly cheaper that I would review if we were staying here again. They might not have the quality though. Please note we were there in Sept I got bitten a lot. Even during the day, not just at dusk. Towels only changed once a week unless u paid 20 euro each day to have a clean towel in an apartment of high standard this is totally unacceptable. No washing up liquid or tea towels. Too expensive. Breakfast was poor. Caters mainly to Germans. Pool and general facilities getting a bit run down. There were no kitchen cleaning products in the apartment which was surprising when it is self catering and there is a kitchen.